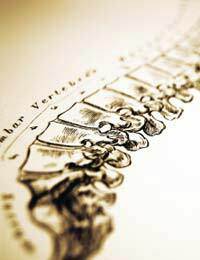 Back pain caused by overactive nerves in the spine is a common problem that affects as many as 8 in 10 people at some time in their lives. In some people, it can become chronic and disabling. Living with constant pain means that all activity, work, recreation and relationships are affected. A relatively new treatment being used to treat back pain that just won’t go away is radiofrequency ablation. This technique uses radiowaves and produces intense heat that can be directed very specifically at small sections of tissue, or at individual nerves. It does not involve an operation, so recovery time afterwards is fast. Radiofrequency ablation has already been used quite successfully to treat heart rhythm problems – destroying some of the nerves responsible for the fast heart beat reduces the rate to normal. The technique is now being applied in the spine. The radiowaves are sent through a needle that is pointed into the spinal facet joint that has been diagnosed as the source of the back pain. Each of these joints, which are between the bony knobs that you can feel along the spine, can be treated separately. Diagnosis is achieved by using a needle to numb each facet joint individually with a local anaesthetic. It is possible to identify which individual joint or small group of joints are involved in the chronic back pain because the pain disappears when they are numbed. The response to the anaesthetic is also a good predictor of whether you will respond well to the radiofrequency ablation treatment itself. Positioning the needle for radiofrequency ablation is done by a real-time X-ray and the specialist carrying out the procedure directs the end of the needle and microelectrode to the position where the heat produced by the radiowaves can target the branch of the nerve leaving the joint. The radiowaves are turned on for no more than a minute and a half, so this is not a long procedure. Radiofrequency ablation is not too uncomfortable and a general anaesthetic is not needed. Before treatment starts, you will be given a mild sedative as some people can get anxious, and the area to be treated is given a dose of local anaesthetic. After the treatment has been completed, you will be asked to rest for a few hours but you should then be able to go home; there is usually no need to stay in hospital overnight either. People who have the treatment are told beforehand that their pain is likely to be worse just after the procedure has been done. The tissues are bruised and sore for the few days that follow and you need to watch out for signs of an infection at the injection site. After that, most people find that their pain improves steadily over the next 3-4 weeks and most people report that their pain reduces by at least half what it was before the treatment. The treatment is not permanent, however. The peripheral nerves in the spine can do some regeneration and can make bridged connections, so the pain might come back after about 12 months. Radiofrequency ablation can then be repeated, providing similar results. It is important that each patient carries out the exercises and movements suggested, attending physiotherapy if necessary, so that the muscles around the joint are strengthened in the weeks when the pain reduces. This can help to lower the pain problem generally for that joint and to enhance the pain relief provided by the ablation therapy.